The Moto X runs a pure Android experience with a few small tweaks that go a long way. A sharp, clear 1080p screen offers a big improvement over the previous generation Moto X.
Moto Maker provides a long list of customization options for owners. The camera is a mixed bag of results. One shot is great, the next, not so much. The battery life is a disappointing average. The Moto X has you covered when it comes to storage, as long as you want nothing more than 32GB and no expandable storage. 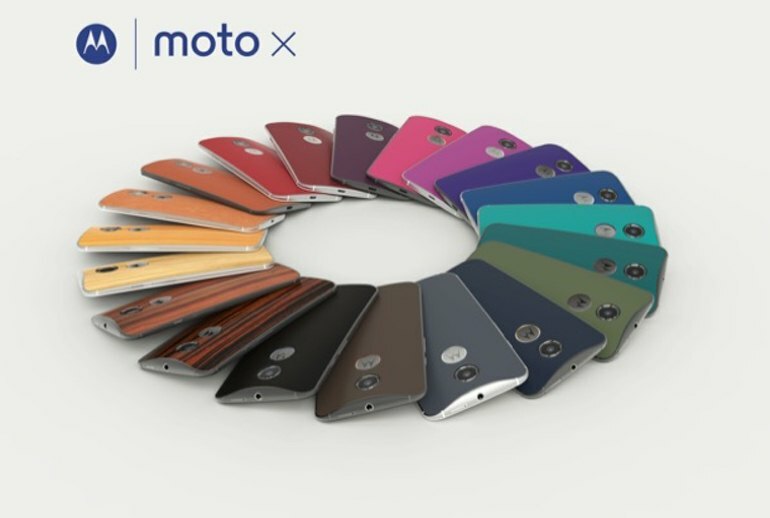 The Moto X is Motorola's flagship smartphone, offering near-complete customization for those who buy it. The 5.2-inch HD display is big, but not too big. On the backside you'll find a 13 MP camera, complete with 4K recording and slow-motion capture. 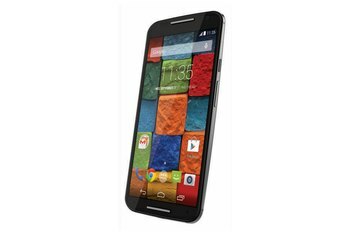 Motorola tweaks Android but leaves it mostly intact, which is a welcome approach. At first I was a bit disappointed in the larger form factor, largely due to the fact that the original Moto X is tough to beat. However, for a 5.2 inch display smartphone, the Moto X still feels great in your hand. In a few cases, we also found the Moto X screen harder to read outdoors. 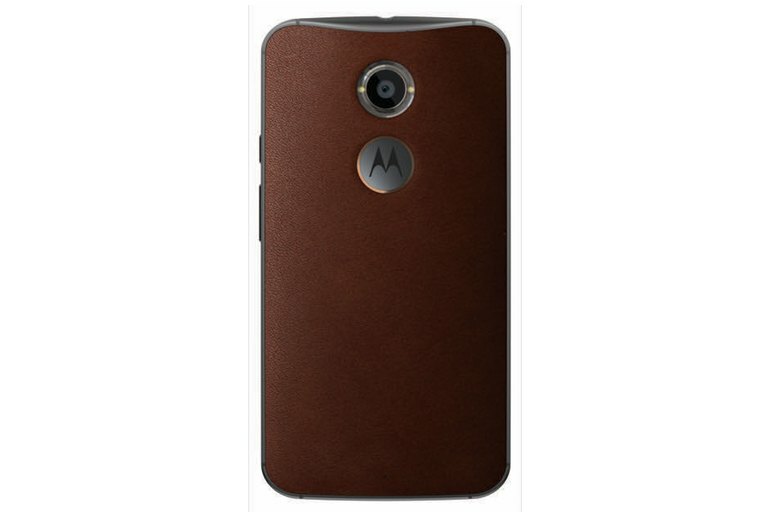 But keep in mind that Motorola has made its smartphone much cheaper than anything in its class. Voices sound clear and crisp through the earpiece, with plenty of gain. Transmissions through the microphone were clear in my tests, with a slightly hollow sound to my voice compared with an iPhone 5s. 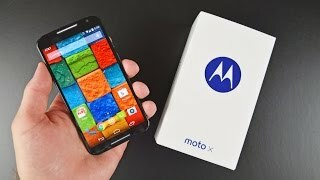 After being stuck with a 720p display on last year's X, I wasn't too hopeful that Motorola was capable of wowing this time around. I was wrong: The new and improved X's 5.2-inch AMOLED is one of the nicest smartphone screens I've seen in a while. 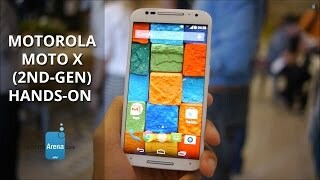 The new Moto X has a bigger, higher-resolution display, faster processor, premium metal frame, and improved software. 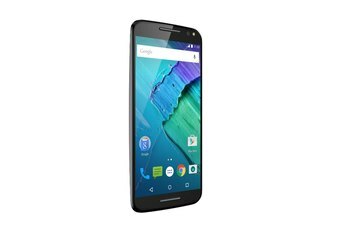 Jumping up to a bigger 13-megapixel camera, the Moto X receives a subtle improvement to its quality, but it continues to largely remain a step behind the pack. 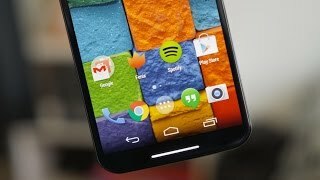 Compared to Google-branded devices like the Nexus and special Play Edition handsets, the Moto X doesn't run the "purist" form of Android, but it comes pretty darn close. The Moto X's front-facing speakers deliver surprisingly powerful, clear sound. A brief training process with your own choice of phrase - Motorola insists on a few syllables, so you can't just shout "hey!" and expect the Moto X to wake up - sets it to your choice of instruction, and it works pretty well. There's no denying, the Moto X definitely benefits from the new 5.2-inch 1080p screen. 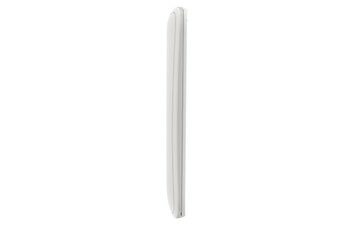 There's still no microSD card slot, though. 16GB will definitely not be enough for some buyers, so the $50 upgrade to 32GB might be necessary. Finally, the back of the phone can be either plastic, wood, or leather, depending on what you choose—as before, most Moto Xs can be customized with the Moto Maker feature to personalize the phone. 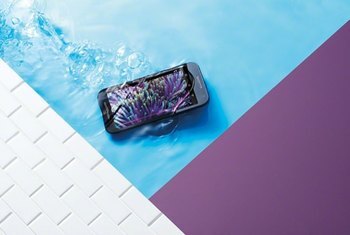 The second generation of Motorola's new Moto X line is a great value that's stylish to boot, thanks to the Moto Maker website that lets you customize your phone's colors and accents. 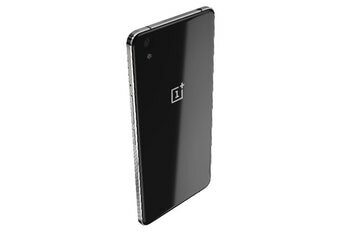 This phone sports a near-stock android interface which is blazing fast and clean, with very little bloatware to be found. Motorola adds its own Moto features that add great value to Google's experience. The biggest disappointment is the camera, which does the job but is subpar compared to most of the compatition.